There is so much CRM information stored in hundreds of thousands of SAP CRM tables! But how do you know what is stored in where? Well, the simple answer is that experience plays a big part but SE80.co.uk can provide you with a helping hand to speed the process, providing easy to find SAP information of all these CRM database tables. You can select data from the CRM tables just like any other table but generally, the easiest way to read this data I via the standard CRM function modules such as CRM_ORDER_READ. 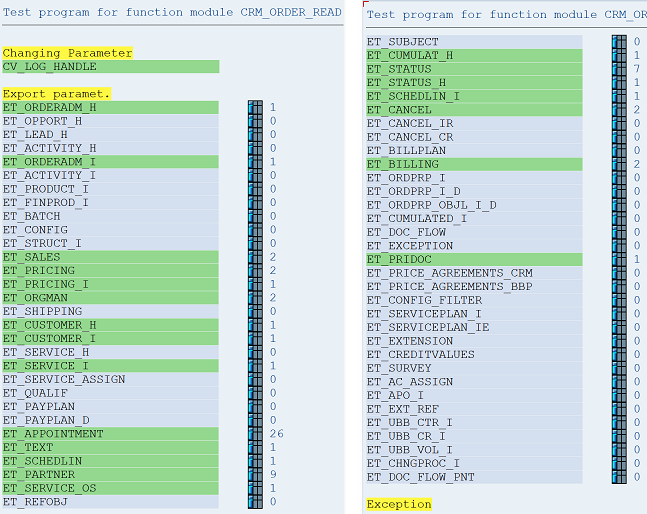 One trick worth remembering is that there is also a standard SAP report also called CRM_ORDER_READ which you can execute via SE38/SE80/SA38 etc and pass a transaction/customer id. It will then select all the data from the CRM tables for that customer/transaction and display it as an output. Again when updating SAP CRM data you can use the standard methods such as adding data manually via SM30 to a database table or using ABAP code to add data inserted within an SAP program or report. But within SAP CRM you should use the CRM_ORDER_MAINTAIN function module to update the data rather than doing it manually. There are also may function modules that update individual subsets of CRM data that can be used instead of CRM_OTDER_MAINTAIN.